A MODIFIED VERSION OF THIS REVIEW FIRST APPEARED ON THE CITY DADS GROUP BLOG. You learn by doing, by making mistakes and by improvising solutions. It’s the ultimate in on-the-job-training. But here’s the thing — once you’ve got the experience, once you’ve innovated and tried doing stuff and figured out a great or clever solution to a thorny parenting problem, who can you tell? 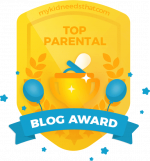 Enter Parent Hacks, the online community started by Asha Dornfest in 2005. 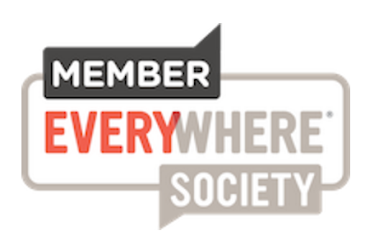 That community’s mission was to share their on-the-job learning solutions with each other and the rest of the Internet so that new parents would not make the same mistakes, and be inspired to implement and improve upon the solutions already in place. In other words, parent hacking! 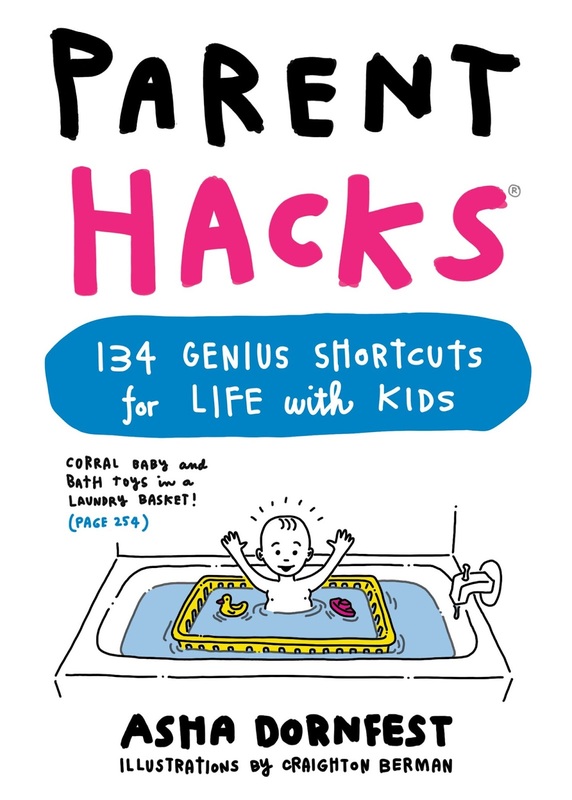 Dornfest has collected 134 of the best tips gleaned from the website into a book, Parent Hacks, available April 5, 2016 from Workman Publishing. There’s actually more tips than that because interspersed between the numbered tips are various listicle suggestions (six ways to get rid of laundry stains, 16 quick-fix dinner ingredients to always keep on hand, seven pretend games you can play lying down, etc.) and some odes to common household objects you can use for not-so-common purposes (the laundry basket, empty baby wipe tubs, pool noodles, among others). No. 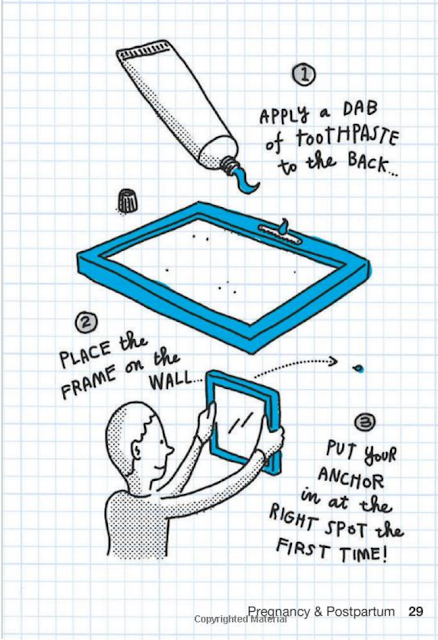 10: Use toothpaste to mark the spot for picture frames. No. 66: Trace your kids feet so that you can shoe shop without them. No. 81: Put the ketchup under the hot dog, rather than over the dog. Number 81- It's a great idea, but I live in Chicago, so I think we will stick to mustard: ketchup on a hot dog could get you reported to Child Protective Services! A few of the hacks seem pretty obvious. No. 78: “Cut food with kitchen shears” is an example. I mean, how does that qualify as a hack? That’s why they call them “kitchen” shears, right? But I’m guessing that some of my favorites might seem obvious to someone else. 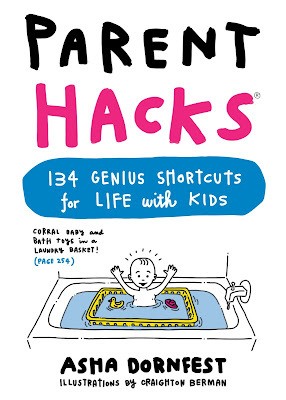 Hacks for moms … and dads? Most of the hacks are unisex, meant for any parent, but probably about 15 of them are mom-centric and not meant for the dads who are reading. I especially liked this one, which featured a video of a dad solving the problem of not being a pony-tail expert. Maybe this should be in the sequel! Craighton Berman illustrated Parent Hacks in a fun and whimsical style, and each hack is clearly illustrated. The background of each page is graph paper, which adds to the feeling that you are getting the ideas directly from the hacker. If you’ve got a great parent hack, or more specifically a dad hack, please share it in the comments!